provident fund even before the completion of five years? Yes, it can certainly be done but you will have to take a tax hit for the same. 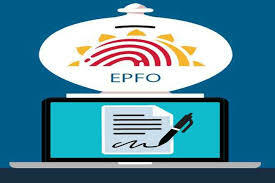 Most people do not have a concrete idea about taxation rules pertaining to EPFwithdrawal before five years. That said, a member is entitled to withdraw up to 75 per cent of the total accumulated EPF wealth. Having said that, most people do not have a fair idea about the taxation rules pertaining to EPF and its subsequent withdrawal before five years. Under present EPF rules, a member is entitled to withdraw up to 75 per cent of the accumulated EPF wealth. The rest 25 per cent can be opted for during final settlement after two months of unemployment. Individuals should note that EPF contribution comprises four components—employee’s contribution, employer’s contribution, interest on employee’s contribution and interest on employer’s contribution. Out of all the components, employer’s contribution and interest earned on contributions are taxable. It is imperative for individuals to know that the taxability of your contribution is directly related to whether you have claimed tax deduction under Section 80C of the Income tax Act while filing income tax returns in the previous years. As EPF is eligible for deduction under Section 80C of the Income Tac Act, most salaried employees make use of this as a method to save more income tax. It is worth mentioning that those who have a current income tax liability of zero will also have to pay tax on EPF withdrawal before five years. When an employee claims a deduction under Section 80C of the Income Tax Act while filing ITR in previous years, then the same amount would be taxed on withdrawal. On the other hand, when an individual has not claimed EPF income tax decudtion under Section 80C, only your contribution will not be taxable. However, all the other components that make by your EPF balance will be taxed. When is withdrawal before 5 years not taxable? Individuals should also know that there are certain cases where withdrawal of EPF before five years does not become taxable. In case an employee’s service is terminated due to ill-health, he/she can get the full EPF components with out any extra taxation. The same scenario applies when the employer’s business is discontinued, and if there is any other situation the employees has not control over.